Public bodies worldwide are making a wealth of information available, and encouraging its commercial exploitation. This sounds like a bonanza for the private sector at the public expense, but entrepreneurs are holding back. A healthy market for products and services that use public-sector information would provide real benefits for everyone. What can we do to bring it about? The EU directive of 2003 on the reuse of public sector information encourages the Member States to make as much information available for reuse as possible. This directive was revised and strengthened in 2013. The U.S. Open Government Directive of 2009 provides similar encouragement, requiring US government agencies to post at least three high-value data sets online and register them on its data.gov portal. Other countries have taken similar measures to make public data publicly available. Why are governments doing this? There are two main reasons. One is that it improves the societies that they serve and the governments themselves. Free availability of information about society and government makes people more effective citizens and makes government more efficient. It illuminates discussion of civic issues, and points a searchlight at corruption. The second reason is that it has a positive effect on the wealth of nations and their citizens. The EU directive highlights the ability of European companies to exploit the potential of public-sector information, and contribute to economic growth and job creation. Information is not just the currency of democracy. It is also the lubricant of a successful economy. There are some big success stories. If you drive a car, you probably use satellite navigation to find your way about, and this may use public-sector information. In the UK, for example, map data that can be used by sat-nav systems is supplied for commercial use by a government agency, the Ordnance Survey. When you order something over the web for delivery to your house, you often enter a postal code and see most of the address auto-completed by the website. Postcode databases are maintained by national postal authorities, which are generally either government departments or regulated private corporations, and made available by them for commercial use. Here, the information is not directly supporting a market, but is contributing to the sale of a range of unrelated products and services. The data may not be free. There are commercial arrangements for supply of map and postcode data. But it is available, and is the basis for profitable products and for features that make products more competitive. These successes are, so far, few in number. The economic benefits of open government data could be huge. The McKinsey Global Institute estimates a potential of between 3 and 5 trillion dollars annually. Yet the direct impact of Open Data on the EU economy in 2010, seven years after the directive was issued, is estimated by Capgemini at only about 1% of that, although the EU accounts for nearly a quarter of world GDP. The business benefits to be gained from using map and postcode data are obvious. There are other kinds of public sector data, where the business benefits may be substantial, but they are not easy to see. For example, data is or could be available about public transport schedules and availability, about population densities, characteristics and trends, and about real estate and land use. These are all areas that support substantial business activity, but businesses in these areas seldom make use of public sector information today. Why are entrepreneurs not creating these potentially profitable products and services? There is one obvious reason. The data they are interested in is not always available and, where it is available, it is provided in different ways, and comes in different formats. Instead of a single large market, the entrepreneur sees a number of small markets, none of which is worth tackling. For example, the market for an application that plans public transport journeys across a single town is not big enough to justify substantial investment in product development. An application that could plan journeys across any town in Europe would certainly be worthwhile, but is not possible unless all the towns make this data available in a common format. Public sector information providers often do not know what value their data has, or understand its applications. Working within tight budgets, they cannot afford to spend large amounts of effort on assembling and publishing data that will not be used. They follow the directives but, without common guidelines, they simply publish whatever is readily to hand, in whatever form it happens to be. The data that could support viable products is not available everywhere and, where it is available, it comes in different formats. (One that is often used is PDF, which is particularly difficult to process as an information source.) The result is that the cost of product development is high, and the expected return is low. There is a second reason why entrepreneurs hesitate. The shape of the market is unclear. In a mature market, everyone knows who the key players are, understands their motivations, and can predict to some extent how they will behave. The market for products and services based on public sector information is still taking shape. No one is even sure what kinds of organization will take part, or what they will do. How far, for example, will public-sector bodies go in providing free applications? Can large corporations buy future dominance with loss-leader products? Will some unknown company become an overnight success, like Facebook? With these unknowns, the risks are very high. Public sector information providers and standards bodies are tackling these problems. The Open Group participates in SHARE-PSI, the European network for the exchange of experience and ideas around implementing open data policies in the public sector. The experience gained by SHARE-PSI will be used by the World-Wide Web Consortium as a basis for standards and guidelines for publication of public sector information. These standards and guidelines may be used, not just by the public sector, but by not-for-profit bodies and even commercial corporations, many of which have information that they want to make freely available. 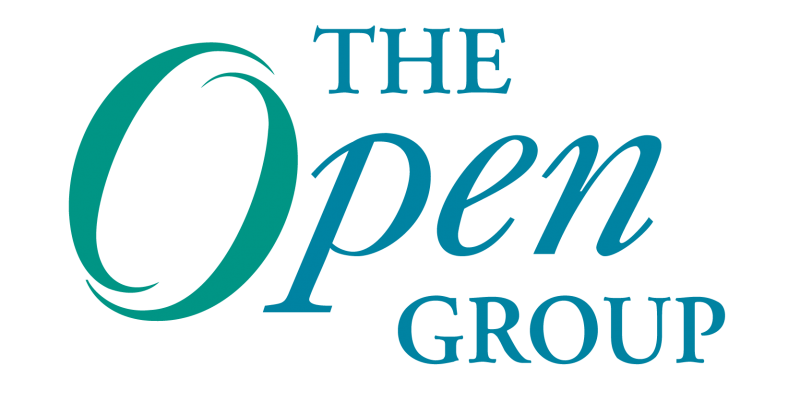 The Open Group is making a key contribution by helping to map the shape of the market. It is using the Business Scenario technique from its well-known Enterprise Architecture methodology TOGAF® to identify the kinds of organization that will take part, and their objectives and concerns. There will be a preview of this on October 22 at The Open Group event in London which will feature a workshop session on Open Public Sector Data. This workshop will look at how Open Data can help business, present a draft of the Business Scenario, and take input from participants to help develop its conclusions. The developed Business Scenario will be presented at the SHARE-PSI workshop in Lisbon on December 3-4. The theme of this workshop is encouraging open data usage by commercial developers. It will bring a wide variety of stakeholders together to discuss and build the relationship between the public and private sectors. It will also address, through collaboration with the EU LAPSI project, the legal framework for use of open public sector data. If you are thinking about publishing or using public-sector data, you can benefit from these workshops by gaining an insight into the way that the market is developing. In the long term, you can influence the common standards and guidelines that are being developed. In the short term, you can find out what is happening and network with others who are interested. The social and commercial benefits of open public-sector data are not being realized today. They can be realized through a healthy market in products and services that process the data and make it useful to citizens. That market will emerge when public bodies and businesses clearly understand the roles that they can play. Now is the time to develop that understanding and begin to profit from it. Register for The Open Group London 2014 event at http://www.opengroup.org/london2014/registration. Dr. Chris Harding is Director for Interoperability at The Open Group. He has been with The Open Group for more than ten years, and is currently responsible for managing and supporting its work on interoperability, including SOA and interoperability aspects of Cloud Computing, and the Open Platform 3.0™ Forum. He is a member of the BCS, the IEEE and the AEA, and is a certified TOGAF® practitioner.